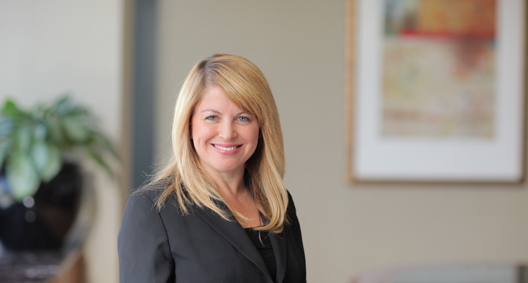 Nancy Inesta advises and represents clients in connection with employment and traditional labor law issues. She is experienced in trial practice, including state and federal courts, as well as litigation before administrative bodies such as the National Labor Relations Board, Department of Fair Employment and Housing, California Labor Commission and Equal Employment Opportunity Commission. Nancy also regularly engages in alternative dispute resolution procedures such as mediation and arbitration. Through advice and counsel, Nancy is dedicated to helping clients avoid potentially costly labor and employment issues, particularly in California where the employment field is highly regulated. Nancy utilizes her strong negotiation and investigation skills handling difficult situations to achieve client goals. Nancy also frequently presents to and trains clients on various topics, including "Union Awareness," "Preventing and Responding to Harassment and Retaliation in the Workplace" and with respect to accommodation issues and the interplay between California state and federal regulations. Experienced in defending employers against unfair labor practice charges before the National Labor Relations Board, including defending against related preliminary injunction proceedings filed in federal court. Assists clients in devising and implementing effective labor relations strategies to mitigate the impact of the recent "ambush election rules." Regularly trains management employees in effectively defending against union organizing efforts. Assisted nonprofit client in defeating union organizing drive and election. Due to mail ballot election, which left little time to oppose union message, traditional campaign strategies were replaced by a more personalized campaign to maintain interest and ensure voting. Assisted in defeating union organizing drive for out-of-state water company that had recently gained ownership of California facilities. Assisted in advising employer on potential employee and labor issues. Employer won the election, but the Teamsters sought a new election. Nancy assisted in managing post-election campaign to keep pressure on union, which eventually dropped second election campaign. Second chair in representation of individual defendant on behalf of airline against sexual harassment and retaliation claims in Los Angeles County Superior Court. Obtained dismissal of punitive damages claim prior to submission to jury. Jury returned full defense verdict on all remaining claims. Second chair in representation of grocery store in case filed by former employee related to termination of his employment after 30 years. Utilized aggressive motion strategy to limit claims and damages exposure before case was presented to jury. The court granted several critical pretrial motions and limited potential damages by striking plaintiff's request for punitive damages. Obtained favorable post-trial settlement after motions for judgment notwithstanding verdict and for new trial were filed. Defends California grocery chain in various single-plaintiff discrimination, harassment, retaliation and wrongful termination cases.